The Oscar nominations are in. Vice picked up 11 nominations including Best Actor for Christian Bale. 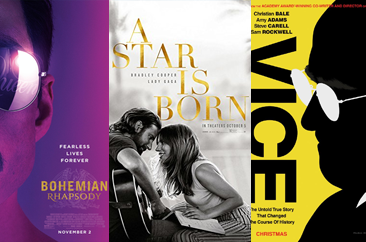 A Star is Born got 8 nominations. Bohemian Rhapsody got 5, including Best Picture and Best Actor for Rami Malek.